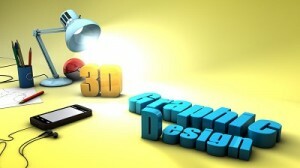 A web design service is a key for designing important websites. The responsive websites are no longer a luxury, which means that if you are to gain an immense amount of traffic online, you need to go for the responsive web design service Kennesaw by Medialinkers, as it has become a necessity. With more than 60% of the internet traffic, coming from mobile devices, it has become really important for a site to have the same layout and functions when being viewed on the smart devices, other than the desktop and laptop screen.What is RSD (Responsive website Design)? The responsive website design is a method of designing a site that is able to adjust to any screen regardless of the screen size, it is being viewed on. It offers a great optimal viewing and an enhanced user experience for the potential customers, visiting your site from a mobile or a smartphone device. Despite the growth in the mobile device usage and the responsive sites, the business sites are not compatible with the mobile screen and this is why, they do not render successfully on the smartphones or the mobile devices. How responsive sites are different to the regular sites? Before the advent of the responsive web design, websites were built to fit one screen. This is because; most people viewed the sites from a laptop or a desktop computer. This means that with the help of a non-responsive website, if there is someone for viewing it from a mobile device or a small screen, the user would have to zoom in to look at the details. This makes it quite a frustrating experience for the users, also causing a lot of people to leave in favor of sites that are mobile friendly. How the responsive design works? The responsive design is achieved by a web developer through a set of instructions for resizing the website’s design to the device size it is being viewed on. It is commonly adjusted by height and width of the certain page elements such as navigation items and images. The best way for achieving a responsive web design is to go by the mobile first approach. This means that the sites are designed for the mobile devices first and then adjusted for the larger screens such as desktops. This is also well supported by customers who want the company’s site to be better than the desktop site. Also, responsive web design has the capacity to help your business, as more than 20% of the Google searches are performed on a mobile device. Google has also launched a mobile update this year in April for helping the users on the mobile devices.